Patients may now consult the hygienist without having to see a dentist first. Children and parent appointments welcome. The application of fissure sealants is necessary to preserve the integrity of your child’s permanent teeth. As soon as your child starts having permanent back teeth, which usually occurs between six and seven years, it is recommended that sealants be applied to the deep grooves to prevent decay formation. Artistically created under magnification. Dyes are used to ensure that all decay is removed. 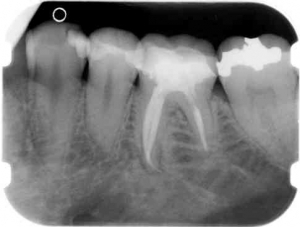 Safe amalgam (mercury fillings) removal. 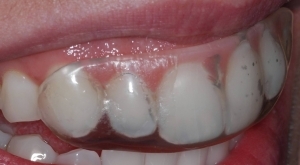 Metal-free restorations are used to achieve the best aesthetic results. Natural looking crowns constructed by the most highly skilled technicians in Europe. Dr Beresford does not use appliance brand names as a marketing ploy because there are a multitude of appliances, systems and techniques available today. The most appropriate appliances are selected for each individual case with efficiency, patients desires and the less conspicuous being of primary importance. This treatment can Lengthen teeth, Cover exposed root surfaces due to gum recession and Re-build areas of bone and gum shrinkage. When playing sports, Mouthguards minimize the risk of injuries to your lip, tongue and soft tissues of your mouth as well as to avoid chipped or broken teeth, nerve damage and even tooth loss. Sports Mouthguards are custom fit and available in a variety of colours and designs. These are made from an impression of your teeth and the Mouthguard is moulded over the model using a special material.